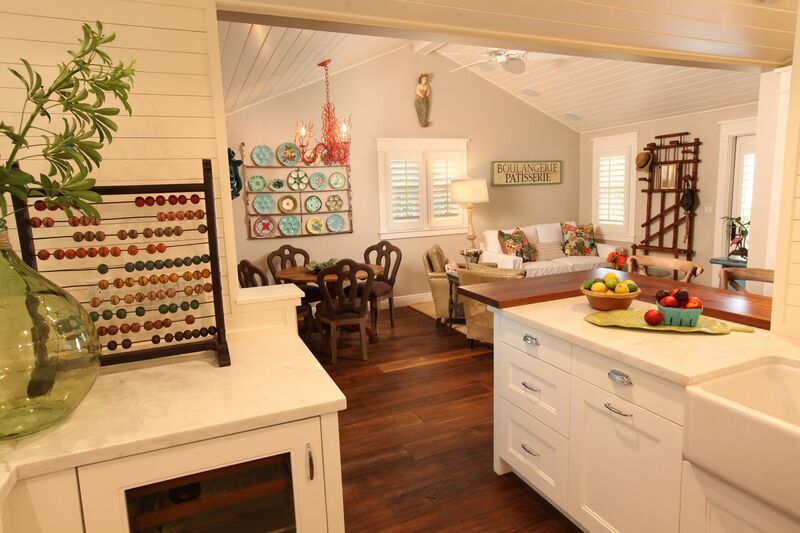 This beautiful home is located in Naples, Florida and was designed by Renee Gaddis Interiors. I came across her portfolio while searching for the original source of a picture that I used in last week’s post on stairwells. The first picture in that post was from this home. To see that post, click here. 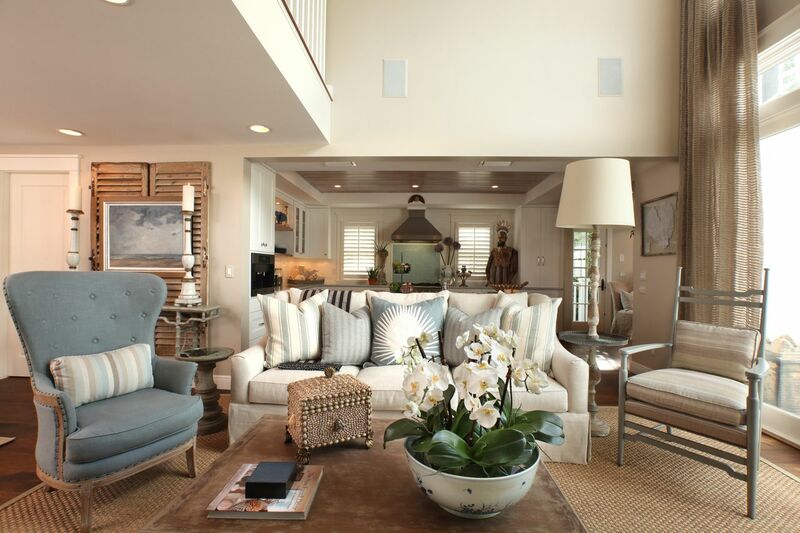 The calming neutrals with a touch of blue is my favorite color combination! 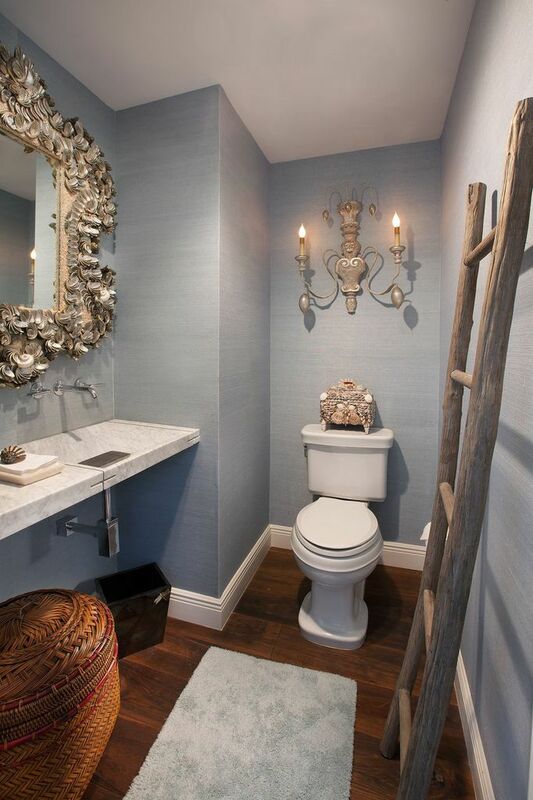 There is a casual elegance to this space that I just love! 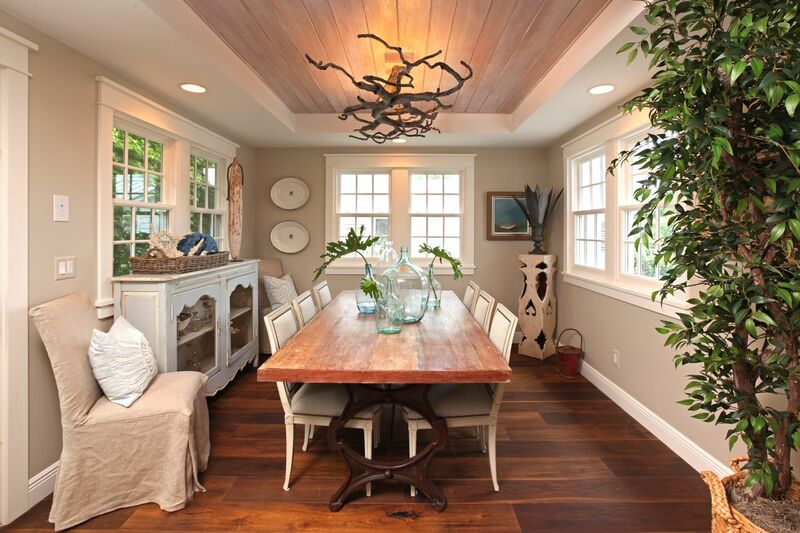 The dark wood in the recessed ceiling is such a special touch. 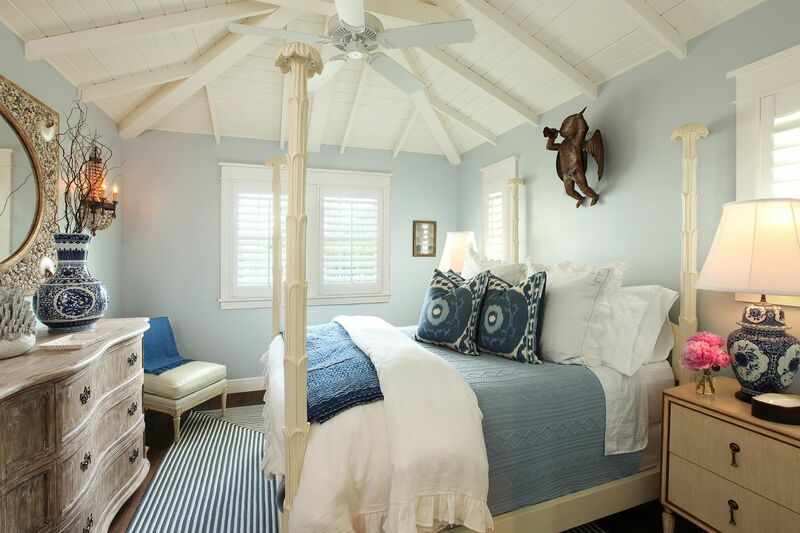 Notice the intricate detail on the bed frame and, once again, another gorgeous ceiling! Here’s a peak into the guest house! I would love to be a guest here! 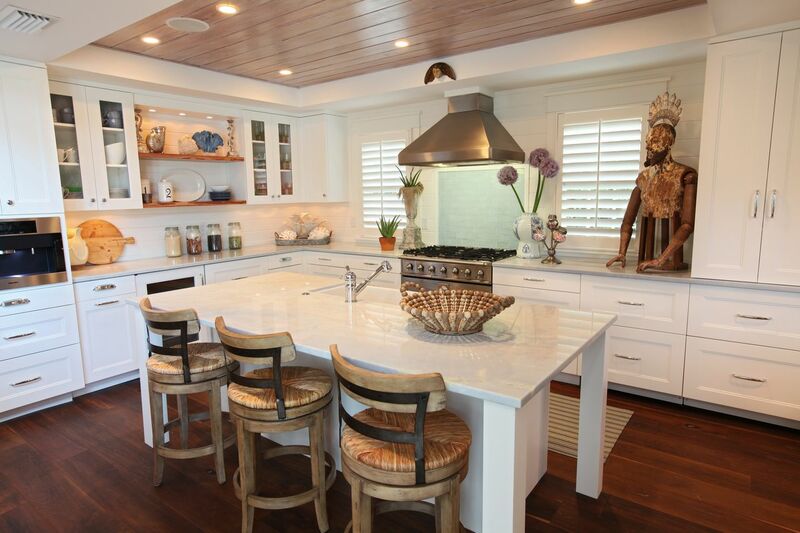 Apart from the weird statue on the kitchen counter it looks amazing!!! Love all the spaces and could easily live in the guest accommodation! Thanks for sharing! 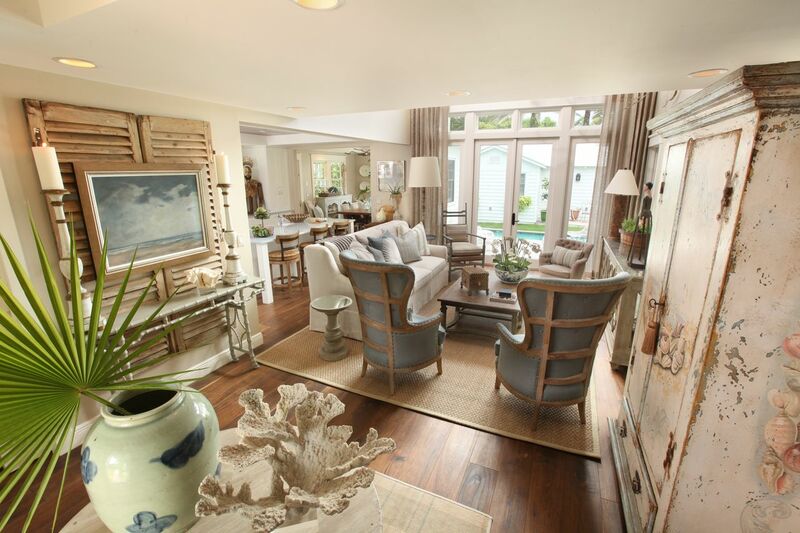 This is a fabulous coastal home tour! Thanks for sharing it! I love the ceilings in the bedroom and guest house! I had to pin these!